President Hassan Rouhani insists Tehran's military strength is meant to deter enemies and create "lasting peace". 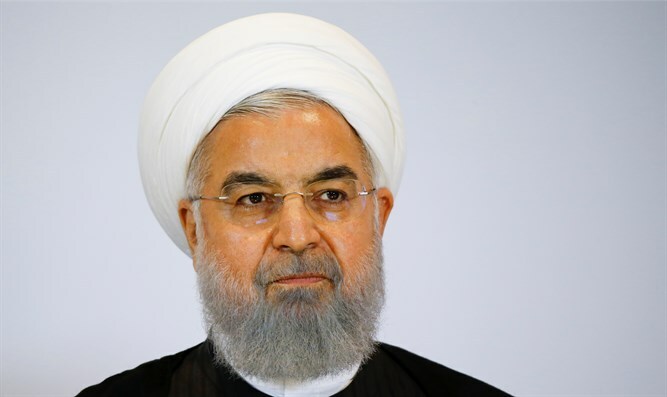 Iran on Tuesday unveiled its first domestic fighter jet, with President Hassan Rouhani insisting that Tehran's military strength was only designed to deter enemies and create "lasting peace". Images on state television showed Rouhani sitting in the cockpit of the new "Kowsar" fourth-generation fighter at the National Defense Industry exhibition in Tehran, reported AFP. Footage of the Kowsar's test flights was circulated by various official media, but live footage of the plane taxiing along a runway at the defense show was cut before it could take off. "Some think when we increase our military power, this means we seek war. (But) this is peace-seeking because we don't want war to happen," he added. Hatami provided few details on the project, focusing instead on Iran's efforts to upgrade its missile defenses. He said the defense program was motivated by memories of the missile attacks Iran suffered during its eight-year war with Iraq in the 1980s, and by repeated threats from Israel and the United States that "all options are on the table" in dealing with the Islamic Republic. "We have learned in the (Iran-Iraq) war that we cannot rely on anyone but ourselves," he said in a televised interview. Rouhani said Iran must show restraint as well as deterrence, in an apparent swipe at his hardline opponents who seek to provoke the U.S. with aggressive slogans. "With a couple of sentences one can start a fight. With a couple of military moves one can enter confrontation. But then it will be costly," he said. "The skill is to protect the country with minimum cost," added Rouhani, mirroring a line from the defense minister, who said on Saturday, "Our resources are limited and we are committed to establishing security at a minimum cost." Last year, the Islamic Republic claimed to have unveiled a domestically manufactured tank which “has the capability to fire missiles and precisely guide them." Previously, Iran's Revolutionary Guard claimed it had successfully tested a Hormuz 2-type ballistic missile. Iran has also claimed it is in possession of the “father of all bombs”, described as a domestically-made 10-ton bomb with a high destructive power. Israel on Tuesday mocked the unveiling of the new Iranian fighter jet. "It is a natural reaction to the economic difficulties," said Defense Minister Avigdor Lieberman. "They are under pressure because of the American sanctions and react by inventing stories," he told reporters in Israel, adding however, "But it should not be taken lightly." Prime Minister Binyamin Netanyahu's spokesman for Arab affairs, Ofir Gendelman, went further and tweeted that the aircraft unveiled Tuesday by Iran was an old American model. "The Iranian regime unveils the Kowsar aircraft and pretends that it is '100 percent indigenously made'... but I immediately saw that it is a very old American military plane... of the F-5 type," he wrote.